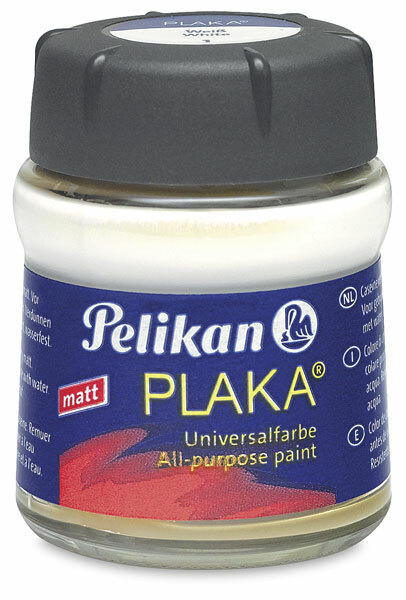 Pelikan Plaka is an all-purpose casein paint that dries quickly (within 12 to 24 hours) to a smooth, velvety matte surface that is extremely opaque. It adheres well to virtually any light or dark surface, including paper, wood, cardboard, leather, pottery, plaster, glass, plastic, and stone. 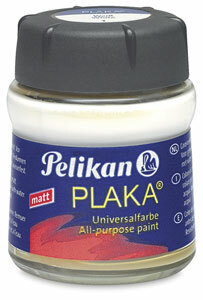 ® Pelikan is a registered trademark.® Plaka is a registered trademark.